This article is about the year 1896. Wikimedia Commons has media related to 1896 . 1896 ( MDCCCXCVI ) was a leap year starting on Wednesday of the Gregorian calendar and a leap year starting on Monday of the Julian calendar , the 1896th year of the Common Era (CE) and Anno Domini (AD) designations, the 896th year of the 2nd millennium , the 96th year of the 19th century , and the 7th year of the 1890s decade. As of the start of 1896, the Gregorian calendar was 12 days ahead of the Julian calendar, which remained in localized use until 1923. January 4 – Utah is admitted as the 45th U.S. state. January 5 – An Austrian newspaper reports that Wilhelm Röntgen has discovered a type of radiation (later known as X-rays). January 6 – Cecil Rhodes is forced to resign as Prime Minister of the Cape of Good Hope, for his involvement in the Jameson Raid. January 7 – American culinary expert Fannie Farmer publishes her first cookbook. January 12 – H. L. Smith takes the first X-ray photograph. January 18 – The X-ray machine is exhibited for the first time. January 28 – Walter Arnold, of East Peckham, Kent, England, is fined 1 shilling for speeding at 8 mph (13 km/h) (exceeding the contemporary speed limit of 2 mph (3.2 km/h) (the first speeding fine). February 1 – Puccini's opera La bohème premieres in Turin, Italy. February 4 – The International Association of Bridge and Structural Iron Workers is established in Pittsburgh, Pennsylvania. February 11 – Oscar Wilde's play Salomé premieres in Paris. March 1 – Battle of Adwa: Ethiopia defends its independence from Italy, ending the First Italo-Ethiopian War. March 3 – Publication begins for Der Eigene , the world's first magazine with an orientation to male homosexuality, by Adolf Brand in Berlin. March 9 – Responding to national outrage at the defeat at Adwa, Italian Prime Minister Francesco Crispi resigns. March 23 – The New York State Legislature passes the Raines law, restricting Sunday alcoholic beverage sales to hotels. January 2 is the second day of the year in the Gregorian calendar. There are 363 days remaining until the end of the year. The Jameson Raid was a botched raid against the South African Republic carried out by British colonial statesman Leander Starr Jameson and his Company troops and Bechuanaland policemen over the New Year weekend of 1895–96. Paul Kruger was president of the republic at the time. The raid was intended to trigger an uprising by the primarily British expatriate workers in the Transvaal but failed to do so. The workers were called the Johannesburg conspirators. They were expected to recruit an army and prepare for an insurrection. The raid was ineffective and no uprising took place, but it was an inciting factor in the Second Boer War and the Second Matabele War. April – The first study of the sensitivity of global climate to atmospheric carbon dioxide is published. Svante Arrhenius presents his findings in his paper, "On the Influence of Carbonic Acid in the Air upon the Temperature of the Ground", the London, Edinburgh, and Dublin Philosophical Magazine and Journal of Science, as an extract of a paper that had been presented to the Royal Swedish Academy of Sciences on December 11, 1895. April 3 – The first edition of the Italian sports newspaper La Gazzetta dello Sport is published. April 4 – The first known women's basketball game between two colleges is played between Stanford and California. April 6 – The opening ceremonies of the 1896 Summer Olympics, the first modern Olympic Games, are held in Athens, Greece. April 9 – The National Farm School (later Delaware Valley College) is chartered in Doylestown, Pennsylvania. May 8 – Cricket: Against Warwickshire, Yorkshire sets a still-standing County Championship record, when they accumulate an innings total of 887. May 13 – The Franchise Bill is passed by the Colony of Natal's Legislative Assembly, disfranchising natives of other countries. May 18 – Plessy v. Ferguson : The U.S. Supreme Court introduces the separate but equal doctrine, and upholds racial segregation. May 27 – St. Louis–East St. Louis tornado: The costliest and third deadliest tornado in U.S. history levels a mile wide swath of downtown St. Louis, Missouri, incurring US$2.9 billion (1997 USD) in normalized damages, killing more than 255 and injuring over 1,000 people. June 4 – The Ford Quadricycle, the first Ford vehicle ever developed, is completed, eventually leading Henry Ford to build the empire that "put America on wheels". June 7 – Mahdist War – Battle of Ferkeh: British and Egyptian troops are victorious. June 12 – J.T. Hearne sets a record for the earliest date of taking 100 wickets in cricket (it is equalled by Charlie Parker in 1931). June 15 – The 8.5 Mw Sanriku earthquake and tsunami kills 22,000 in northeastern Japan. Svante August Arrhenius was a Swedish scientist. Originally a physicist, but often referred to as a chemist, Arrhenius was one of the founders of the science of physical chemistry. 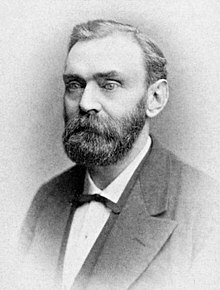 He received the Nobel Prize for Chemistry in 1903, becoming the first Swedish Nobel laureate, and in 1905 became director of the Nobel Institute where he remained until his death. The Royal Swedish Academy of Sciences is one of the royal academies of Sweden. Founded on June 2, 1739, it is an independent, non-governmental scientific organization which takes special responsibility for ptomoting the natural sciences and mathematics and strengthen their influence in society, whilst endeavouring to promote the exchange of ideas between various disciplines. June 23 – Liberal leader Wilfrid Laurier defeats Charles Tupper during Canadian federal elections for the 8th Canadian Parliament, to become the first Francophone Prime Minister of Canada. June 23 is the 174th day of the year in the Gregorian calendar. There are 191 days remaining until the end of the year. 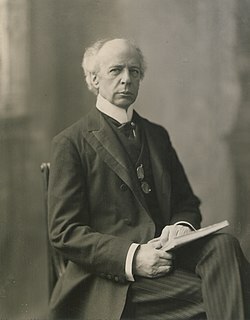 Sir Henri Charles Wilfrid Laurier was the seventh prime minister of Canada, in office from 11 July 1896 to 6 October 1911. July 9 – William Jennings Bryan delivers his Cross of Gold speech at the Democratic National Convention, which nominates him for president of the United States. July 11 – Wilfrid Laurier becomes Canada's seventh prime minister, and the first French-speaker to hold that office. July 21 – In Washington, D.C., in response to a "call to confer" issued by Josephine St. Pierre Ruffin to all women of color, the National Association of Colored Women's Clubs is organized. July 26 – The International Socialist Workers and Trade Union Congress opens in London. July 27 – A causeway is opened between the islands of Saaremaa and Muhu in Estonia. July 30 – Atlantic City rail crash: Shortly after 6:30 pm, at a crossing just west of Atlantic City, New Jersey, two trains collide, crushing five loaded passenger coaches, killing 50 and seriously injuring approximately sixty. August – The 1896 Eastern North America heat wave kills 1,500 people from Chicago, Illinois to Boston, Massachusetts. August 16 – Skookum Jim Mason, George Carmack and Dawson Charlie discover gold in the Klondike, Yukon. August 17 – Bridget Driscoll is run over by a Benz car on the grounds of The Crystal Palace, London (the world's first motoring fatality). August 23 – The Cry of Pugad Lawin initiates the Philippine Revolution. The shortest war in recorded history, the Anglo-Zanzibar War, starts at 9:00 in the morning, and lasts for 45 minutes of shelling. Britain establishes a Protectorate over the Ashanti concluding the Fourth Anglo-Ashanti War. The Anglo-Zanzibar War was a military conflict fought between the United Kingdom and the Zanzibar Sultanate on 27 August 1896. The conflict lasted between 38 and 45 minutes, marking it as the shortest recorded war in history. The immediate cause of the war was the death of the pro-British Sultan Hamad bin Thuwaini on 25 August 1896 and the subsequent succession of Sultan Khalid bin Barghash. The British authorities preferred Hamud bin Muhammed, who was more favourable to British interests, as sultan. In accordance with a treaty signed in 1886, a condition for accession to the sultanate was that the candidate obtain the permission of the British consul, and Khalid had not fulfilled this requirement. The British considered this a casus belli and sent an ultimatum to Khalid demanding that he order his forces to stand down and leave the palace. In response, Khalid called up his palace guard and barricaded himself inside the palace. Ashanti, also known as Asante, are an ethnic group native to the Ashanti Region of modern-day Ghana. The Asante speak Twi. The language is spoken by over nine million ethnic Asante people as a first or second language. Asante is often assumed to mean "because of wars". September 15 – The Crash at Crush train wreck stunt is held in Texas. September 22 – Queen Victoria surpasses her grandfather King George III as the longest-reigning monarch in British history. September 28 – Pathé or Pathé Frères a French film company and one of the oldest film companies is founded by the brothers Charles Pathé, Théophile Pathé, Émile Pathé and Jacques Pathé. July 9 is the 190th day of the year in the Gregorian calendar. There are 175 days remaining until the end of the year. The Cross of Gold speech was delivered by William Jennings Bryan, a former United States Representative from Nebraska, at the Democratic National Convention in Chicago on July 9, 1896. In the address, Bryan supported bimetallism or "free silver", which he believed would bring the nation prosperity. He decried the gold standard, concluding the speech, "you shall not crucify mankind upon a cross of gold". 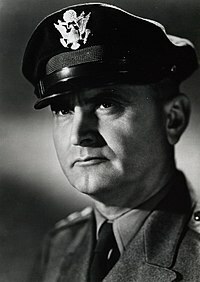 Bryan's address helped catapult him to the Democratic Party's presidential nomination; it is considered one of the greatest political speeches in American history. October 1 – Gottlieb Daimler builds the first worldwide gasoline truck. October 2 – The Victorian Football League is established as Aussie rules football in Australia (a predecessor for the Australian Football League). October 16 – The design of the flag of Knoxville, Tennessee is officially approved by the Knoxville City Council. October 30 – Augusta, Kentucky: The Augusta High School cornerstone is laid, marking the end of the Augusta Methodist College. November 3 – U.S. presidential election, 1896: Republican William McKinley defeats William Jennings Bryan. The event is viewed by some as a realigning election for the United States Republican Party. November 27 – Also sprach Zarathustra (Strauss) is first performed in Frankfurt. The Udinese Calcio is founded. St. Augustine Monster : A large carcass, later postulated to be the remains of a gigantic octopus, is found washed ashore near St. Augustine, Florida. December 10 – The premiere of Alfred Jarry's absurdist play Ubu Roi in Paris causes a near-riot. December 14 – The Glasgow Subway, the third-oldest underground metro system in the world, opens. December 25 – John Philip Sousa composes his magnum opus, The Stars and Stripes Forever . December 30 – José Rizal, Filipino scholar and poet, is executed by Spanish authorities in the Philippines. The Pontifical University of Maynooth is established by decree of the Vatican. France establishes an administrative post in Abengourou, Ivory Coast. Sperry & Hutchinson begin offering S&H Green Stamps to U.S. retailers. Blackpool Pleasure Beach, a popular English theme park (Britain's Biggest Tourist Attraction), is founded by Alderman William George Bean. A school of mines opens in Kimberley and will later form the core of the University of the Witwatersrand. ↑ Palmer, Alan; Veronica (1992). The Chronology of British History. London: Century Ltd. pp. 324–325. ISBN 0-7126-5616-2. ↑ Slee, Christopher (1994). The Guinness Book of Lasts. Enfield: Guinness Publishing. ISBN 0-85112-783-5. ↑ The Great Dynamite Explosion, report by Mr. J.G. Blumberg, Fairmount School, Johannesburg, excerpt from the autobiography of Dutch immigrant Jan de Veer who came to South Africa in 1893. ↑ Dow Record Book Adds Another First. Philly.com. Retrieved 2013-07-08. ↑ "Twin Shaft Disaster Marker". ↑ "100 MINERS ENTOMBED - Twin Shaft, Pittston, Caves In and Few Escape. RESCUERS WORK IN VAIN Three Men Saved, but Little Hope for the Others. FRENZIED CITY AT PIT'S MOUTH Startled from Slumber to Hopeless Activity by an Explosion in the Early Morning. BOSSES ARE AMONG THE MISSING All the Workmen Available Were Trying to Brace Up a Section That Was Considered Dangerous. ONE HUNDRED MINERS ENTOMBED - Front Page - NYTimes.com". June 29, 1896. ↑ "Pennsylvania". Archived from the original on November 21, 2008. ↑ Miller, Charles (1971). The Lunatic Express. New York: Macdonald. ISBN 978-0-02-584940-2.